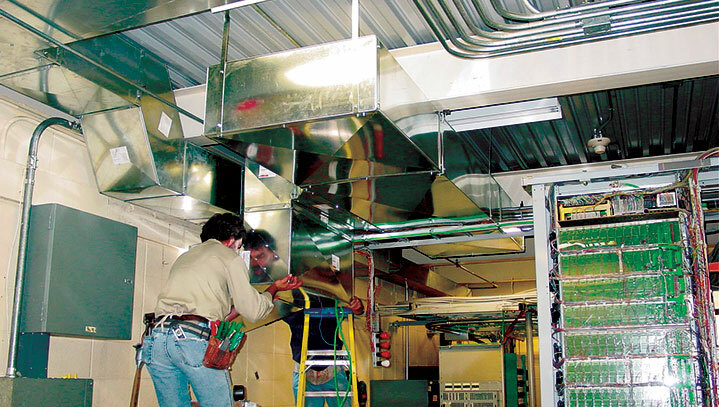 At RC Metalworks, we are specialists in sheet metal fabrication for commercial and industrial HVAC systems. Our experienced craftsman can fabricate ductwork and other custom metalwork from galvanized steel, aluminum, stainless steel, black iron, copper, and lead coated copper. Our clients, located in Rhode Island ( RI ), Massachusetts ( MA ), and Connecticut ( CT ), include hospitals, universities, laboratories, governments, commercial developments, residential developments, and heavy industry. Design and Fabrication - Our highly trained and experienced staff will create the most effective system within our customer’s budget. We fabricate all ducts to SMACNA standards using the highest quality materials and best industry standards. Fabrication - The process of fabricating your sheet metal HVAC ductwork is one of the most important steps of the process. 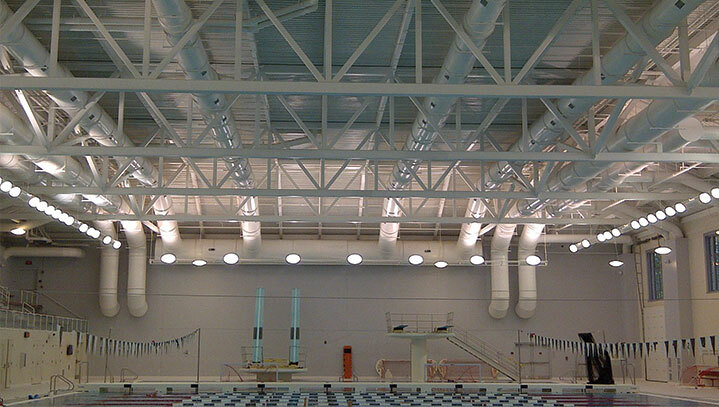 Not only can we fabricate the highest quality ducts, but we can also fabricate any custom order that you may need such as metal panels, drain pans, machine guards, cupola covers, steel frames, and much more. If you can sketch it, we can make it. We fabricate all ducts to SMACNA standards using the highest quality materials and best industry standards. Installation - Our craftsmen will install your sheet metal ductwork correctly the first time and on schedule. When the system is installed it will be tested and adjusted to ensure it is functioning properly. Repairs - Our experienced craftsmen can perform repairs on all duct systems and all metal types. Fire Damper Certification - RC Metalworks also provides fire damper inspections and repairs to confirm that your dampers will keep a fire from spreading through the ducts of your building. As the only contractor in the area certified by ICB/TABB, our clients can be sure that our reports, repairs, and certifications of dampers are accurate and guaranteed. Our certified technicians inspect each damper and ensure that it is in proper working order. Once our survey is complete, we provide our customers with a detailed spreadsheet showing the results. Any repairs that need to be made will be clearly itemized and priced for the customer’s review. Please feel free to contact us if you have any questions about sheet metal fabrication for a new HVAC system or repairing your existing system today.